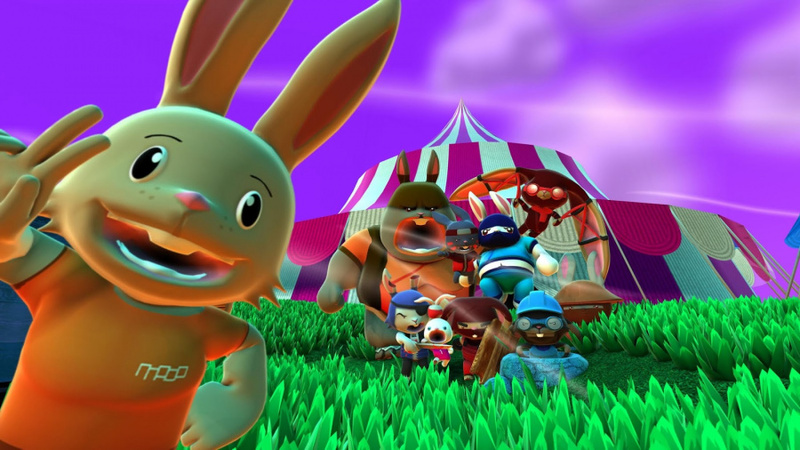 Nnooo's first person shooter Blast 'Em Bunnies will be hitting the 3DS eShop on March 11th, it has been revealed. Costing $4.99 / €4.99 and backed up by a selection of paid-for DLC content, the game features 4 different weapons and 16 types of ammunition. The objective is to take down as many enemies as possible and collect coins, which can be used to purchase new items in-game. 50 medals are waiting to be unlocked, and the title's Survival and Slaughter modes feature varying difficulty levels. On 3DS, you'll also be able to use the console's motion controls to aim. As a development team of 2 and a company of 3 we have poured our heart and souls into making this game a highly polished, frenetic experience on all of the platforms we are releasing on. It has been a real labour of love to ensure we release across such a wide range of machines at the same time across the world. We are super proud of our efforts and hope all of our fans old and new enjoy the game! We spent a lot of time deciding on the best price and combination for users and feel that by releasing the base game for a low price and allowing fans to customise their experience with add-on content we are giving every user great value for money. We hope everyone loves the unique weapons and ammo types; the cool, distinct arenas with their unique art and sound tracks; and the different enemy bunny skins with their fun, silly or scary looks! Stuff of nightmares. That rabbit is near pikachu level of creepy. I liked Purcell take on rabbit more. That weird wabbit sleeps with his eyes open! This is very high on my radar. Waiting for a review with at least a 6 and that mentions no problems with framerate on a new 3ds. ..Looks great, can't wait..think I played poker against that rabbit..
For the $4.99 how many arenas does this game have. It seems like the $4.99 is really an enhanced demo. I recall in the 90s you could buy a pc game but it only had so many parts and if you wanted the full game you had to spend more. @Eisenbolan Well, the 90's PC shareware system was different in that the first part was free. It would equate closer to the free to play model although still not the same since it was generally only additional levels with the rest of the storyline for which you had to pay. The best modern comparison would an episodic release with a special offer where the first part is free.